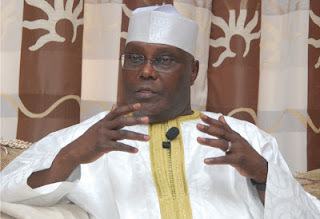 Former Vice President and Chieftain of the All Progressives Congress (APC), Atiku Abubakar has urged Nigerians to remain calm, and lose hope in the country as the current economic recession is just for a moment and will soon give way to economic prosperity of the nation. According to him, while it might take a long period to get out of the current situation, so many things is need to put in place to achieve economic prosperity in the near future since a lot of things were left undone for too long time by the nation’s past leaders..
A message released by his media office in Abuja during sallah , Atiku said Nigerians, particularly the Muslim must learn to be their brothers keepers. While congratulating Muslims on Eid el-Kabir celebration, Atiku urged them to use the opportunity to reflect on the situation in the country and support themselves. He said Nigerians should celebrate like other people in the world in spite of the economic situation facing the country, assuring them that this storm will soon be over. He said this Sallah celebration calls for sober reflection, prayers, cooperation and the display of solidarity among Nigerians so that no one feels left out. Meanwhile, he call on Nigerians to continue to work hard, persevere and pray for the success of the policies and measures being put in place by the APC government of President Muhammadu Buhari to restore the nation’s economy to good health and improve the lives of the people.